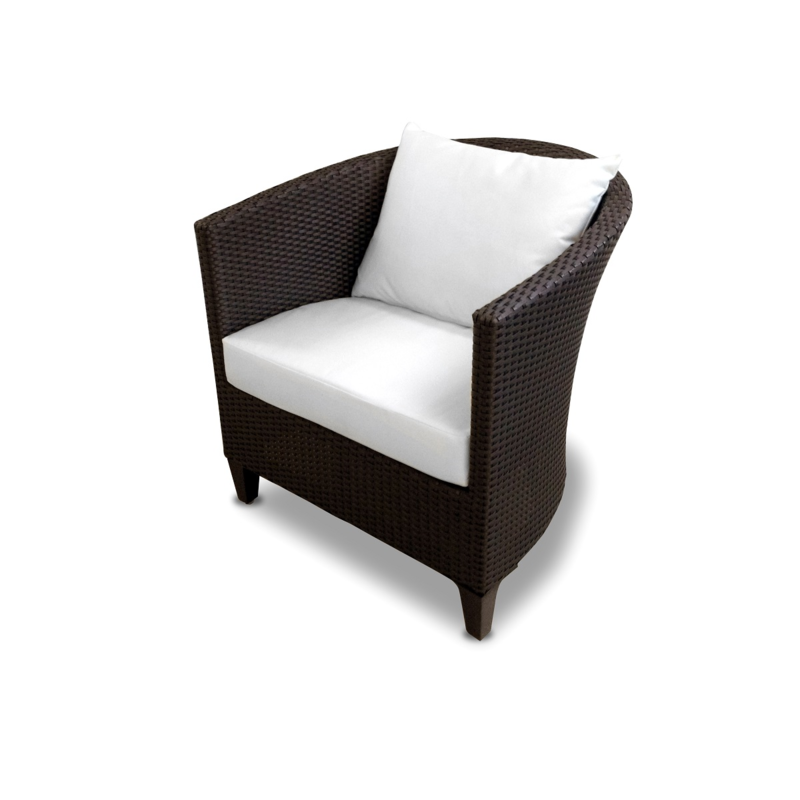 Corona Wicker Armchair | ET&T Distributors, Inc. The Corona’s ergonomic curves contour your body for a relaxing outdoor experience. Its footprint makes if a versatile option for smaller spaces while providing a surprisingly comfortable sit. Every piece in the collection is light weight. Add a coffee table to two armchairs and make a beautiful and modern seating set inside or outside. Dimensions: W29” D28” H29” SH16” AH26” 16lbs.